One more moment in time: 1993, and with computers it's now an IBM-centric world. The clones had taken over. Almost two decades after the introduction of the “Altair”, personal computers were now ubiquitous, to the point where stores sprang up to sell just but computers and software. CompUSA “the Computer Superstore” was the largest chain, exploding from a single Texas warehouse to well over 200 locations across the country at its peak. 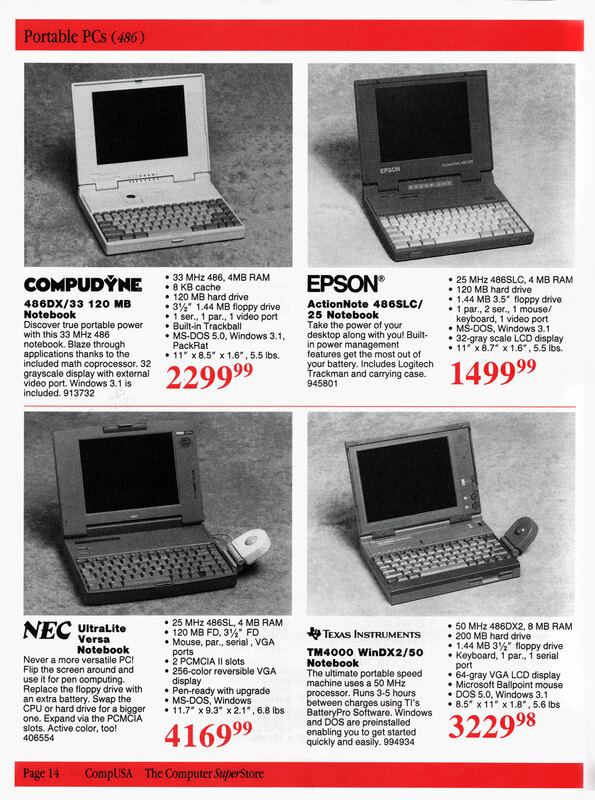 Compared to today's hardware, the laptops on this page are painfully primitive. Less power than a Chromebook; small, dark, and usually gray-scale screens; weights of nearly 6 pounds; hard drives that stored less than one percent of what most laptops store today. Yet somehow there was lots you could do with them. 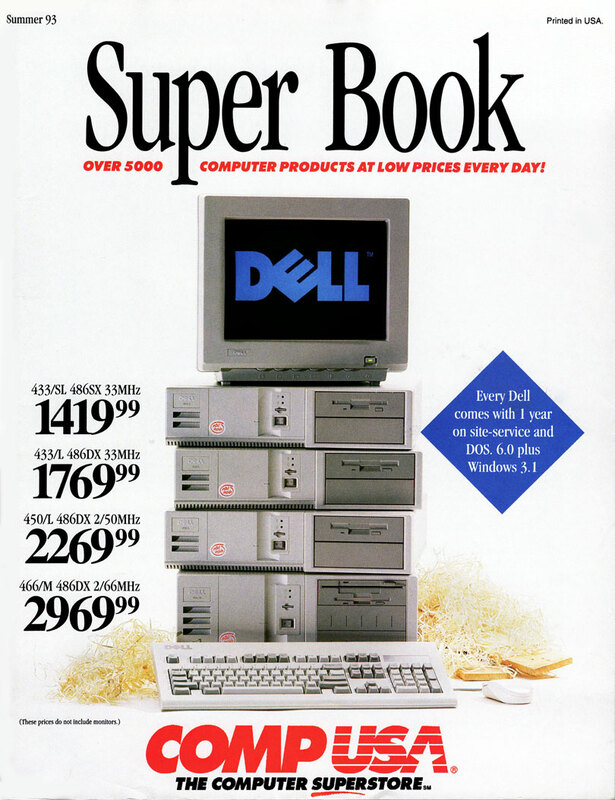 CompUSA's cover proudly announced “over 5000 products at everyday low prices”, and indeed most of the catalog's 150+ pages were selling software. That may be due to the absence of the Internet, which was a couple years from making inroads into public consciousness. In time, websites would take the place of many software apps, and people would grow so comfortable with computers that computer-only stores made as much sense as, say, washing machine stores. The CompUSA chain was sold several times and the last few stores closed in 2012. By the way, not only do the computers look alike in this CompUSA catalog, so do the pages themselves. That's because this was an early attempt to produce a catalog completely by computer. Photos – copy – prices – all went into a database which could then output them automatically into a page layout program. Presumably the state of the art has improved in this area as well.